Are you planning a Halloween event this year? We hope so! Halloween is such a fun time for children and adults alike. You get to dress up as a crazy witch, a spooky ghost, or whatever you really feel like. 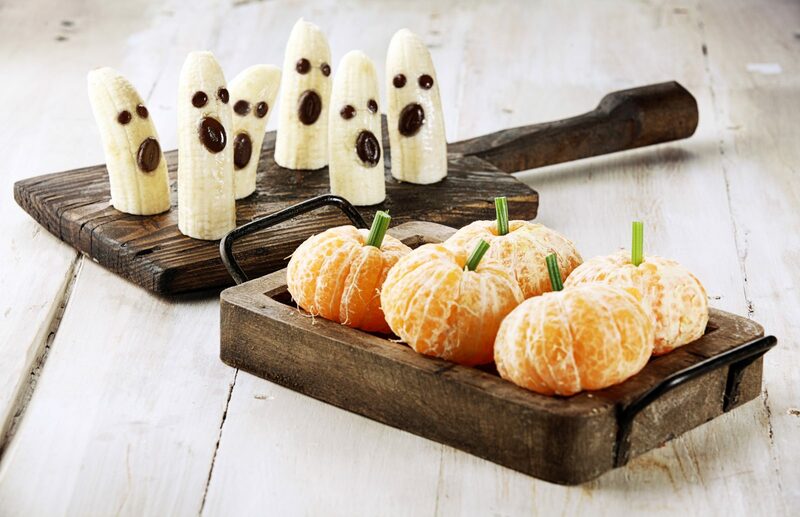 It’s also a great time to hang out with friends and enjoy some spooktacular nibbles. If you are planning a Halloween party this October, why not impress guests with a couple of original, and scary, dishes? You don’t have to stick to pumpkin soup and bowls of candy, you can go the distance with delicious, ghoulish bites that will go down a treat will all ages. Don’t slave away over the usual finger sandwiches for your party, try these bite-sized Halloween-inspired finger foods for a far more festive feast. Who doesn’t like a delicious cheese ball? You can still be cheesy on Halloween but add a twist by coating the cheese balls with paprika and garnishing with a small spruce of green scallion. Try the recipe here. Your guests are going to need something to wash down their fingers and cheese balls with, so how about a prawn brain cocktail made with savoury food and a jelly mould? Who doesn’t love a devilled egg or two at a dinner party? They’re already devilish in nature… Top them off with a black olive slice, capers and streak with red food colouring and you have a truly gruesome snack this Halloween. Shock and delight dinner guests with monster mucus. Simply shuck oysters, reserve the juices, and pour everything into a tall pitcher. Just like the real thing! This one is more delicious than scary. All you have to do is carve a pumpkin and insert your favourite guacamole. You could use the lid of the pumpkin to serve chips on. Imagine this as your festive table centrepiece. After dinner, get everyone doing the monster mash with this boozy delight. The recipe is available from Delish. How About Whoopie Pies for Dessert? Serve these scrumptious treats in a cloche to make them look creepy enough for the holiday. You’ll want to serve your drinks cold and creepy, so buy a bunch of plastic spiders and make blocks of bug ice. You may give someone a good old fright when they find a spider in their drink, or at the very least, they’ll love the effort you went to! Go all out this Halloween and tap into your guest’s fears of creepy bugs by putting roaches on just about everything. Get a few dates, stuff almonds inside them to create a head and attach soft antennas. Use the bugs to top cakes, casseroles, pies – even the loo handles! 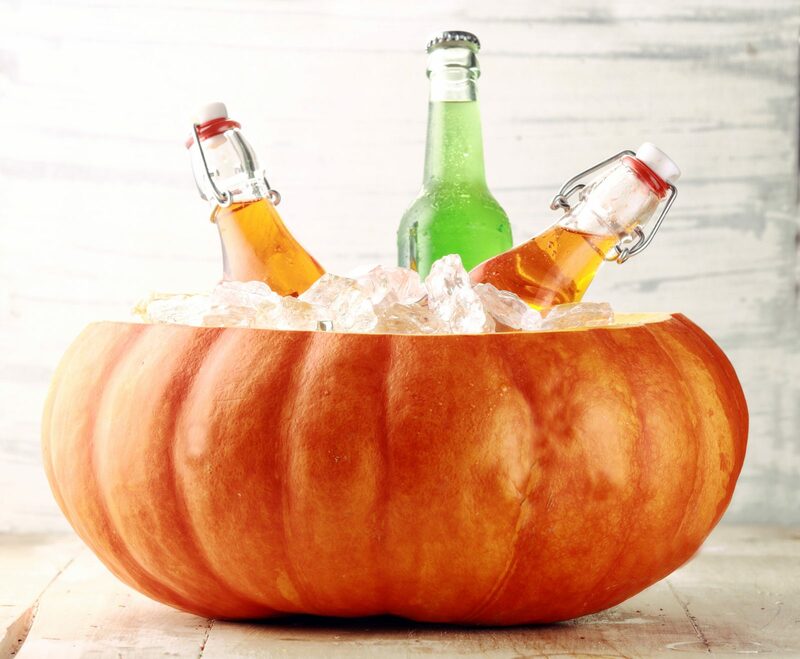 So there you have it, our top 10 ideas to spice up your Halloween party this year. Do you have any ghoulish treats to share? Tweet us @ultimateexp and show us your most frightening ideas!